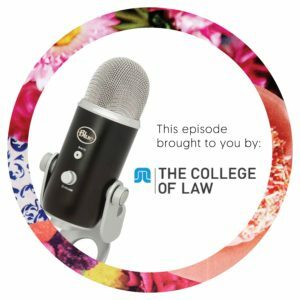 This week’s guest on The Happy Lawyer Happy Life podcast is Anna Lozynski, general counsel for L’Oreal Australia/New Zealand. Not only are Anna’s drive and passion contagious, but what I learned about the L’Oreal company and the innovative work they do made this interview especially uplifting. Born in Poland, Anna grew up in Melbourne, learning English from school and Sesame Street. In school, she studied what she loved, like writing and humanities, knowing that she wanted to be a lawyer from a relatively young age. As a lawyer, she relishes being surrounded by people she can learn from and challenging herself intellectually. Her ability to create networks throughout her career has provided her with connections and opportunities that she credits to helping her get to where she is today. Managing an intense, stressful job doesn’t have to mean that your life is difficult. Anna is proof that you can thrive in a fast-paced, corporate environment without making the sacrifices that so many of us assume are necessary. In the end, finding balance in life and surrounding yourself by people that inspire and encourage you are the keys to being happy.